Readying the Kickstarter and Searching for Interns! Futuretech: Space Combat Academy is about to get on Kickstarter by the end of July! Exciting! To all who have been following our project – thank you so much! We hope to see you guys interested in our tier packages when the campaign goes live…we’ll have art stuff, T-shirts, stickers and more for you! Also: this is the last chance to request any kind of paraphernalia! Have something in mind you want to see in a reward tier? Let us know either here in the comments or on our Facebook! Right now, imminently, we are looking for someone who is interested and/or has experience in marketing – specifically to online communities and managing that via social media. This involves creating engaging posts regularly, communicating with followers, updating the visuals, coming up with ideas for popularity influx – like contests/polls/giveaways, designing/sending out newsletters and emails when needed, and various clerical duties. Even better if they are familiar with the Kickstarter campaign process! We need someone who enjoys exploring ways to interest the public in a product (ergo, a game – our game, haha) and help us elevate it! Just an update on the writerly side of things – everyone is working hard to complete Futuretech: Flight Academy, and already there is a pre-alpha (or rather, first-playable) version out to internal staff, which is awesome and exciting! So progress has taken a tangible step! As always, the story is never, ever finished – and even now there are scripts being written for intros, radio chatter, reactions and briefs! The game flow and voice actors’ considerations dictate a lot of how that process goes, too. And along with the writing comes new storyboards! Working on the trailer and changing an outcome for a character! As people know, the game design document, comprised of pretty much everything that goes into the design process – art, writing, assets, published announcements, flow charts, info/lore sheets, controls, etc. etc. – is always changing, even up to the last second. 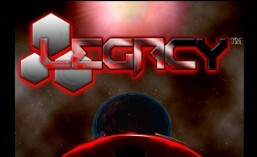 Currently, the Legacy universe expands to its main game as well as Futuretech‘s, so a lot of its production is along the same story foundations. There’s a substantial amount of art and planning done already, and I’ve been looking into publishing processes for books lately – specifically art production books. Hope everybody had a lovely New Year’s! I think most of us are happy to start afresh, and not unwilling to let 2016 pass us by. But lots of great things happened too; lots of milestones made, social issues brought to the forefront, environment and animal protections and of course, our art/entertainment industry is growing and changing for the better. A lot is planned for 2017 for us, so this year should prove to be exciting in that regard. As for one of the initial goals for this year, the official trailer for Futuretech Flight Academy will be coming together! That will definitely be thrilling to see! Otherwise, at least for my corner, working on final touches to that trailer script and storyboard set. It is mostly organizing and re-editing the content I have for Legacy after that! Will blog again soon with updates! A Trailer in the Making! For writers – and artists too, with visual language – the formulaic plot line is your best friend. Or rather, becomes your best friend very quickly when it comes to writing or drawing up anything visual for trailers. You know, that witch’s hat structure that English teachers have drilled into your brain: Exposition, Rising action, Climax, Falling action, Resolution. Although an enduring trend nowadays is to either end on a climactic note – because obviously companies want you to be hooked and want to know what happens next – or to avoid too much resolution, especially if the franchise and/or game is character based. It’s interesting, and makes sense. This format works very well; it’s comforting, the audience is used to it, and there is an assured effect that comes from utilizing it well enough – people are intrigued by your product. This goes for films too. Just some thoughts here at the start of November! Been taking an additional art class with CGMA (the 2D Academy; they’ve got a whole other 3D Academy, too) to improve artistic skills, along with a (albeit slow-going) screenwriting course with MasterClass and some Udemy and Coursera videogame structure courses on the side of this internship. The class I took with CGMA was Environment Sketching, which has now just ended and was awesome; I definitely learned a lot. The instructor was Dzu Nguyen, who is a freelance concept artist and illustrator in the videogame industry. If anyone has the funds and wants to take an intensive art class online from professionals in the industry, I’d go with CGMA. The forums may not be so active depending on the students’ schedules, but there are chats which are pleasant and generally helpful, along with weekly Q&A videos with the instructors (Those are really great!) And honestly, if you can put forth the effort from home, then it’s worth the money. For now, I wanted to have some additional experience in that field that could apply to what we’re doing here – what with the sheer extent of Legacy’s lore. It’s really become a vast world; there’s the Futuretech Flight Academy lore, which ties into the main feature game’s lore, and there’s also intense world-building being done by a fellow intern, Summer. There’s some really great projects in progress! So. In other words: keeping busy! Haha. But really, as far as I’ve ‘researched’ through podcasts, creative career fairs, job hunting and even from my experience at PAX this past spring…creative careers tend to require more from you. Especially the gaming world – and that’s okay. But it’s something to keep in mind for a career path in a fairly new, quickly-evolving and multi-purpose field.